Palermo Central station parking open 24 hours a day, 7 days a week and is located only minutes away from the Station. The car park offers under cover space and a shuttle transfer service to the station at no additional cost. Palermo Central station parking offers a cheap and safe parking solution since the car park is patrolled and under CCTV surveillance. You can easily book online at any time your parking space for Palermo Central station parking and enjoy your trip without worries for your car. Palermo Central Station is the main railway station of the Italian city of Palermo, capital of Sicily. 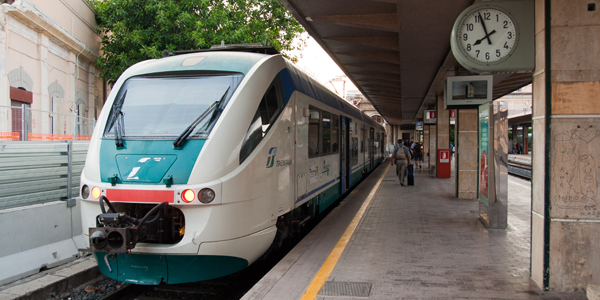 It is one of the most important "FS" stations of Italy. The station, designed by the Italian architect Di Giovanni, was opened on 7 June 1886. Still 1941 it was characterized by a big roof with a structure in iron and glass, substituted in the early 1950s with a reinforced concrete structure.